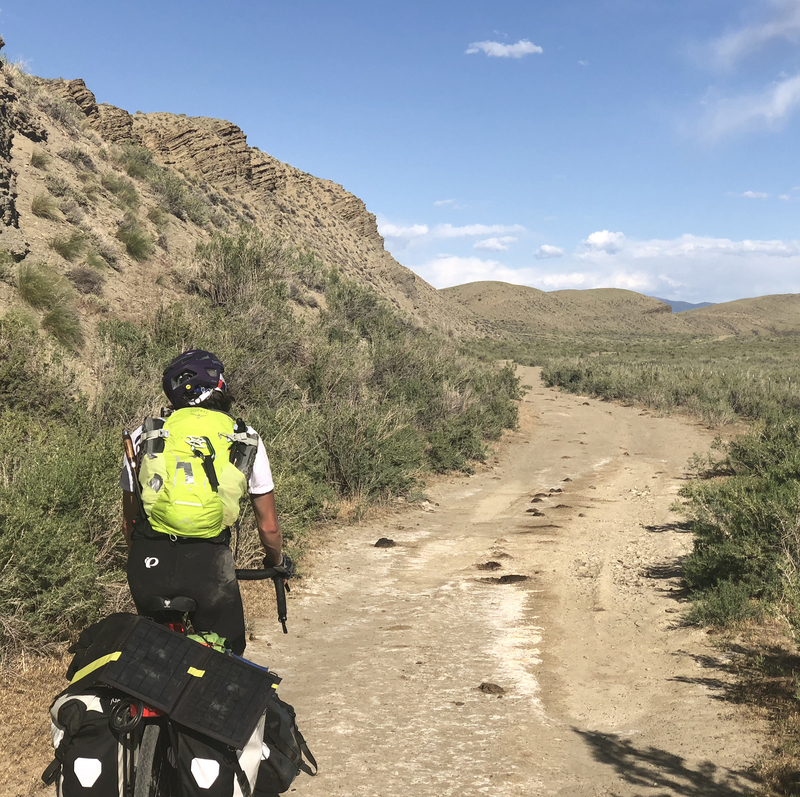 Now halfway through a planned cycling journey from Colorado to Alaska, Jason Talamonti has dealt with broken chains, lingering left knee pain and countless ascents and descents through Wyoming and Montana in an effort to raise funds for the Alzheimer’s Association. Talamonti was recently reached while camping out behind a bar in the Canadian town of Twin Butte, Alberta. He has about 1,600 miles to go on his epic journey. “Every day we have people drive by honking with their thumbs up cheering us on,” he wrote in a blog post. Unconventional treks are nothing new for Talamonti. 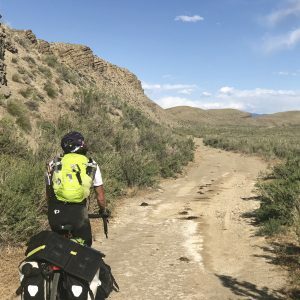 He has also walked across Portugal and Spain, drove the entire length of the legendary U.S. Route 66 and kayaked the Mississippi River from source to sea. His current journey is focused on raising awareness and money for the Alzheimer’s Association. Along for the trip is college friend, Eric Landry. The two met while they were students at the University of Colorado. “We have seen each other at our very best and at our worst while paddling the Mississippi River,” he wrote. 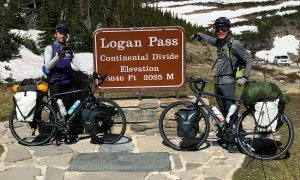 About a month into the trip the two have completed half their journey and have raised just over $5,600 of a stated goal of $65,000. Both men have had relatives who suffered from Alzheimer’s disease. Landry’s grandmothers both suffer from dementia. For Talamonti, both his grandfather and grandmother have been affected. Towards the end of his grandfather’s life, he saw a man who built a cottage on a small island in Canada, slowly forget his loved ones’ faces. Over the past year, Talamonti’s grandmother entered a memory care home. She also is in the early stages of dementia. “It pains me to see the same look of confusion I saw on my grandfather when he tried to remember who I was,” he said. “She may occasionally forget how her and I are related,” he said. 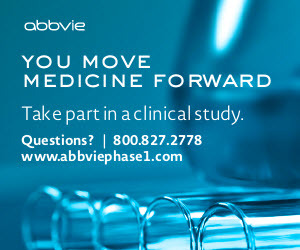 In the United States, someone develops Alzheimer’s disease every 65 seconds. It is now the sixth-leading cause of death in the United States, according to Alzheimer’s Association. Between 2000 to 2015, death from heart disease has decreased 11 percent, while the number of deaths attributed to Alzheimer’s disease has increased 123 percent. 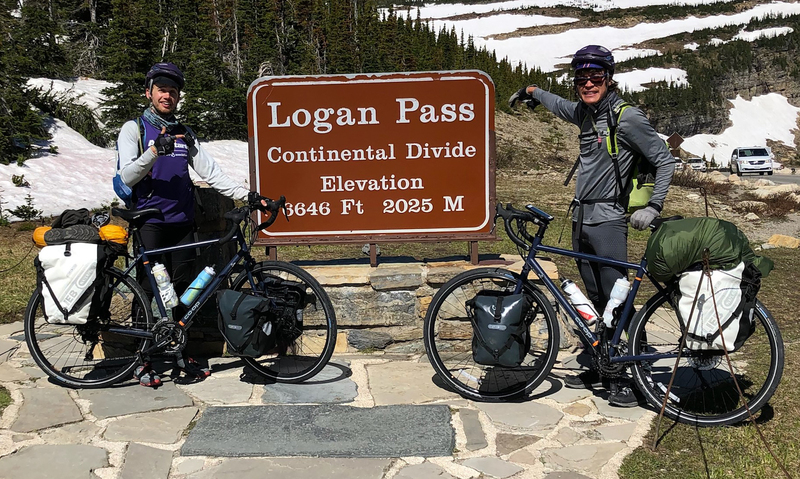 Jason Talamonti (left) and friend Eric Landry pose at Logan Pass in Montana’s Glacier National Park. The Continental Divide separates Atlantic and Pacific watersheds in North America. (Photo courtesy Jason Talamonti). More than 220,000 people in Illinois are living with Alzheimer’s disease, according to Sharri Scott, manager of athletic events, Alzheimer’s Association Illinois Chapter. “The money Jason is raising will help fund Alzheimer’s care, support, advocacy, and research,” Scott said. “The Alzheimer’s Association is the largest non-profit funder of Alzheimer’s research in the world, in fact, we are the third largest funder behind the United States Government and the Chinese Government,” she added.